Mahindra Holidays & Resorts India has launched its new 75-room resort in Hatgad, Maharashtra, six kilometers from the hill station of Saputara, Gujarat. Spread over an area consisting of approximately three acres, Club Mahindra Hatgad is located on the Nashik-Saputara road with views of the Saputara Hills as well as of the famed Hatgad Fort. Kavinder Singh, MD & CEO, Mahindra Holidays & Resorts India Limited, said, “At Club Mahindra we constantly try to add new and unexplored holiday destinations to create differentiated experiences for our members. Saputara, the only hill station of Gujarat, is a great holiday destination for the entire family as it offers diverse attractions including a rich indigenous cultural history, an abundant waterfall, a wildlife sanctuary and various adventure activities. Club Mahindra Hatgad is within driving distance from Nashik, Surat, Ahmedabad, Pune and Mumbai, making it an ideal family getaway destination for our members. Radisson Blu has opened the first phase of its 102-key ‘Radisson Blu Resort & Spa Karjat’ located in the sub district of Raigad in Maharashtra. This is the Radisson Blu brand’s 29th addition within Carlson Rezidor Hotel Group’s portfolio in India. A popular weekend destination, Karjat is a two-hour drive from Mumbai and Pune and the resort offers 360-degree views of the Sahyadri mountains. Speaking on the occasion, Raj Rana, Chief Executive Officer, South Asia, Carlson Rezidor Hotel Group said, “We are excited to to launch this upper-upscale resort. This resort’s opening reinforces our commitment to enhance the brand’s portfolio and further expand our presence in resort destinations throughout India. 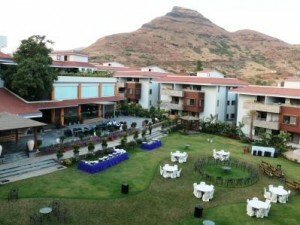 With its unparalleled resort experience and commitment to excellence, we are confident Radisson Blu Resort & Spa Karjat will be a shining success.” The resort’s owner, Debasish Chakraborty, noted, “Radisson Blu Resort & Spa Karjat offers a beautiful balance between modern design and enveloping natural beauty. It is a first-of-its-kind luxury offering in an upcoming destination, complete with great connectivity, service excellence and quality standards befitting the Carlson Rezidor Hotel Group. We are excited to introduce this property to a range of discerning guests.” The resort will tap couples, families, adventure-seekers, wellness enthusiasts, wedding party guests, and business travellers. Indana’s brand of royal hospitality with a modern twist will be coming to Jaipur in October 2016 with an 118-room hotel. Sharing details of the new property, Meera Pahwa, Vice President Marketing & Sales, Indana Hotels, said, “The new hotel will have lavish 350–800 sq ft deluxe rooms and suites. We will tap business and leisure tourists as it will have top-notch venues for MICE and amenities including a 8,000 sq.ft banquet hall, an over 40,000 sq.ft. landscaped lawn, fully equipped state-of the -art business centre and conference. 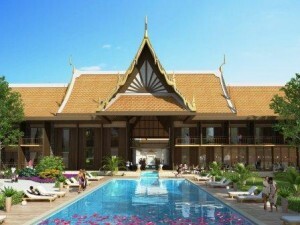 Other amenities will include spa, health club, swimming pool and multiple F&B options. It will be a perfect fusion of historical elegance and modern luxury.” Indana has hosted discerning guests from around the world in the past at its Indana Palace Jodhpur property. Singapore based international hospitality brand, Banyan Tree Hotels & Resorts has launched its new vertical Banyan Tree Lifestyle Services (BTLS) to cater to the growing demand of luxury products and services in the Indian market. BTLS encompasses the entire portfolio of hotels, resorts, residences and related services under the Banyan Tree Group. Currently, the Banyan Tree Hotels and Resorts portfolio is grouped under four brands – Angsana, Banyan Tree, Cassia and Dhawa; and covers the different segment of evolved discerning travellers and thereby covers the A,B,C,D of segmented hotel portfolio. BTLS has 3 key offerings— Bespoke concierge service, Banyan Tree Private Collection and Banyan Tree Group Residences sales and owners club. BTLS will be promoted by recruiting independent consultants that have prior experience in luxury realty, in high ticket investments and are well connected with HNI in the upscale segment that values the exclusive lifestyle benefits. They will also be conducting seminars and consumer connect events to educate the membership benefits and uniqueness to the potential consumers. It also entails visit and experience of various Banyan Tree locations so that the consumers can choose the right services and become a part of the growing Banyan Tree brands’ family. 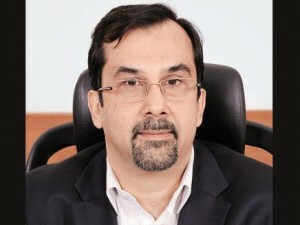 ITC Ltd has appointed Sanjiv Puri as its Chief Operating Officer, signalling that he’s most likely to take over from YC Deveshwar as CEO when he steps down in February after two decades at the helm. As COO, 53-year-old Puri becomes the second most important executive in the tobacco-FMCG-hospitality conglomerate after Deveshwar, who will be staying on as non-executive chairman, according to the schedule announced last month. Puri will now oversee day-to-day operations of the company as COO, a position created for the first time at ITC. Puri is an alumnus of the Indian Institute of Technology, Kanpur, and joined ITC in 1986. He has handled a wide range of responsibilities including manufacturing, operations and the IT business. The resorts team from Cinnamon Hotels & Resorts, a chain of 14 hotels and resorts in Sri Lanka, visited Delhi last week to meet with the travel agents. The team led by Sunimal Senanayake, Sector Head, Cinnamon’s resort properties in Sri Lanka & Maldives, included Senior Vice President Sales, marketing communications manager and sales manager of the resort properties, who were pleased to meet the travel agents and understand the perspective of the Indian traveller. Cinnamon Hotels & Resorts also participated in GPS, Chandigarh which was held on 21st and 22nd July 2016. Lords Hotels & Resorts is aiming at adding 15 properties to its portfolio to take the total count to at least 40 properties by the year 2020. “We are slated to announce the launch of our second property in Nepal and are also looking at setting feet in Kenya and some other countries in the African continent,” says P.R. 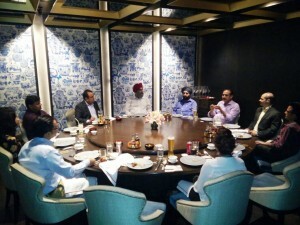 Bansal, Chairman, Lords Hotels & Resorts. The hotel chain is also planning on strategic growth in the Tier ll and Tier lll cities and towns. “The scope for growth for hotels in the affordable sector especially in the Tier ll and Tier lll regions is larger. It is our target to add four hundred new rooms by 2020,” says Rishi Puri, Vice President, Lords Hotels and Resorts. “We recently added a couple of properties to our portfolio in the south including a lavish resort in Thissur. The east has a good potential for growth especially in the mid-market segment and with our strength in this area, we are positive that we would be able to quickly take a lead in the region,” says Bansal. “We are focusing on expansion across all the categories. Of our three new launches, our properties in Jammu and Agra belong to the Lords Inn brand, while our property in Kerala belongs to the Lords Resorts brand. In the forthcoming phase we will also be looking to hard promote our five branded F&B outlets and one spa. As India claims its rightful place on the global tourism map, Lords is poised to tap this great opportunity to its optimum potential,” concludes Puri. 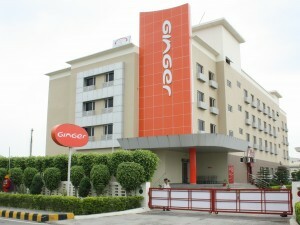 Ginger Hotels has announced the launch of its second hotel in Noida; Ginger Hotel Noida, East. Strategically located in the heart of Noida, Ginger Hotel Noida, East; provides convenient access to Noida Expo Centre, Electronic City, Corenthum Business Park, Pragati Maidan, Buddh International Racing Circuit and Delhi Expo Mart. 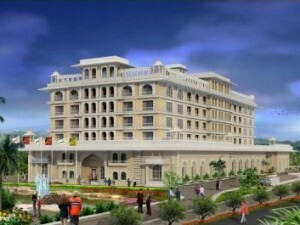 The hotel is also in close proximity to Okhla Bird Sanctuary, Akshardham Temple and the Old Fort. The hotel’s location allows access to a multitude of other services like medical, entertainment and banking within the radius of a kilometer. With 96 rooms, this hotel offers free high-speed wireless Internet, multi-cuisine restaurant with 24/7 coffee shop, well-equipped fitness center, reliable security features and state of the art meeting facilities, for today’s value conscious traveller. “This is an extremely proud moment for us as we launch our second hotel in Noida – a city that is continuously evolving as a business district and IT hotspot. Ginger is the largest chain of branded budget hotels in India with a resilient promise of safety, cleanliness, wonderful sleep experience, refreshing shower experience, a sumptuous breakfast and seamless internet connectivity. We assure travelers of a delightful experience with us,” said Rahul Pandit, MD & CEO, Ginger Hotels. 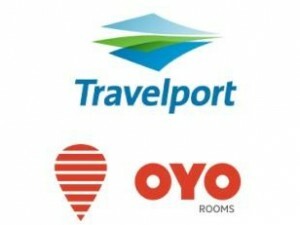 Travelport and OYO has announced a new agreement whereby 6,000 hotel properties offered by OYO will be made available through Travelport’s Travel Commerce Platform to its travel agency users, both in India and around the world. OYO currently operates in more than 180 Indian cities, including Delhi, Jaipur, Mumbai, Bengaluru and Goa. Travelport’s Travel Commerce Platform connects hotel providers and independent properties to its 68,000 connected agencies worldwide, in turn, offering travellers more hotel choices as Travelport now offers 650,000 unique hotel properties. Kavikrut, Chief Growth Officer, at OYO said, “We are pleased to partner with Travelport and take our offerings to a wider audience. Both OYO and Travelport are recognised for leveraging innovative technology capabilities. We are confident of utilising this synergy to unlock new growth areas for both partners.” The agreement with OYO is the latest example of Travelport responding to the needs of its agents to add the hotel content they need in their local regions. It also responds to the needs of hoteliers by giving them access to the international travel booking industry. Once on Travelport’s Travel Commerce Platform, travel agents globally have access to the hotel content through their normal workflow, eliminating time-consuming and inefficient bookings across different channels.